Where Guests are Family! Looking for comfortable hotel lodging in Durango, Colorado? 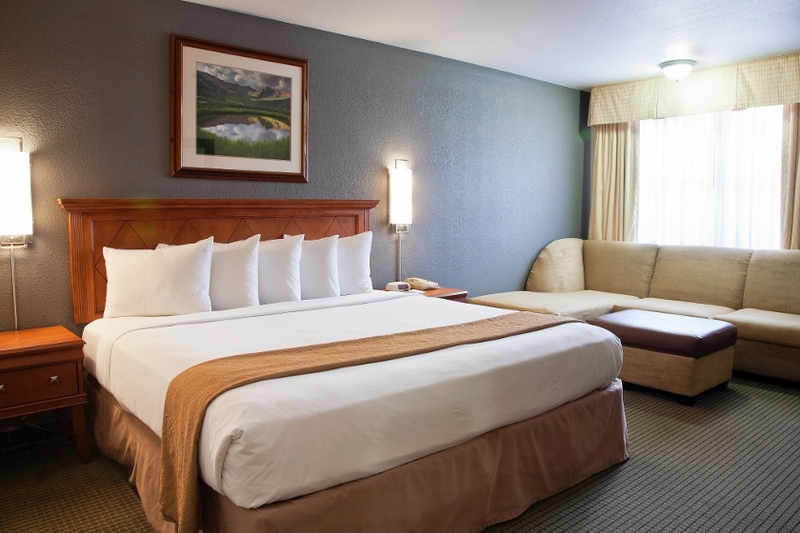 Come stay the night with us and enjoy our many amenities, fun service team and great location in the heart of Durango. 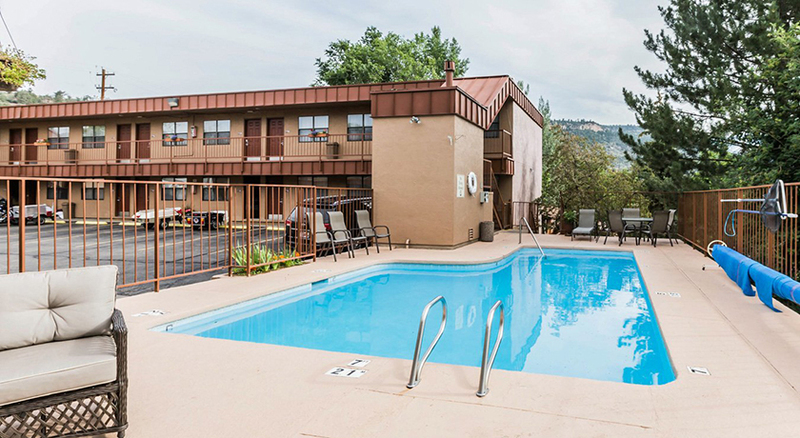 The Quality Inn Durango is only steps away from the Animas River and the downtown Durango Trolley. 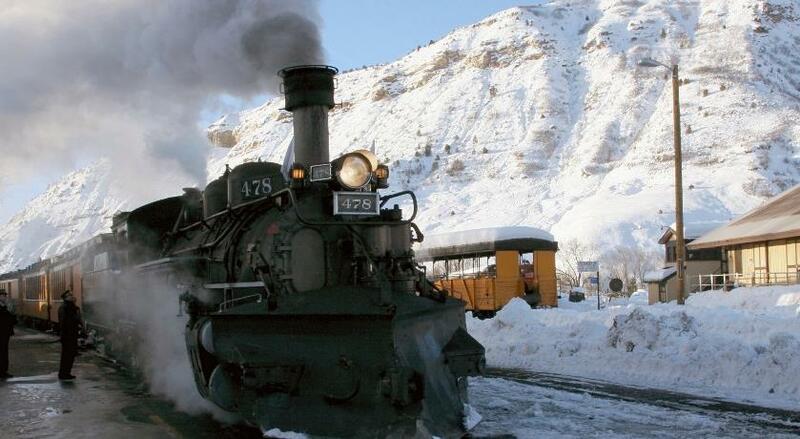 We are located only 1 mile from the city's hip, historic downtown and about 2 miles from the Durango & Silverton Train, so there are plenty of nearby attractions to keep you entertained. 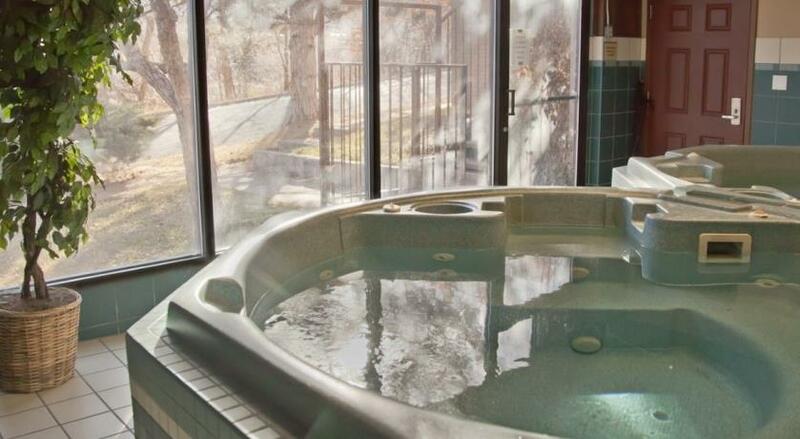 Within 3 miles of the Quality Inn Durango, you can find yourself hiking up beautiful mountain trails, rafting down the Animas River, or riding on a train through the San Juan Mountains.If you want some relaxation with your recreation, our pet-friendly motel offers a beautiful outdoor pool facing the mountains as well as two indoor hot tubs to soak in after a long day of fun. The Quality Inn staff serves a full, hot breakfast each morning, and if you don't have time to sit down to eat, feel free to take some fresh fruit or a muffin to go. 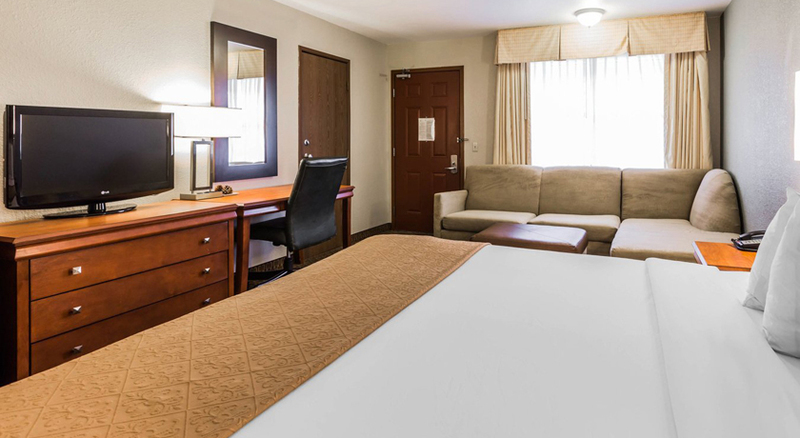 Each room is fully updated and offers granite countertops in the bathroom, new and beautiful Quality Inn bedding, as well as a microwave and refrigerator. Comfortable King size room with a Chalkboard wall for your entertainment, free High Speed internet access, flat panel color TV, microwave oven and mini refrigerator, coffee maker & gourmet coffee, hair dryer, iron & full size ironing board, and so much more. Hotel offers complimentary hot breakfast, 24-hour coffee bar, late night cookies, and all with a warm smile. Comfortable 2-queen with a Chalkboard wall for your entertainment, free High Speed internet access, flat panel color LG TV, microwave oven and mini refrigerator, coffee maker & gourmet coffee, hair dryer, iron & full size ironing board, and so much more. Hotel offers complimentary hot breakfast, 24-hour coffee bar, late night cookies, and all with a warm smile. Our comfortable king guest room comes with a Chalkboard wall for your entertainment, Free High Speed internet access, ;flat panel color LG TV, microwave oven and mini refrigerator, coffee maker & gourmet coffee, hair dryer, ironing board, and so much more. Hotel offers complimentary hot breakfast, 24-hour coffee bar, late night cookies, and all with a warm smile. Our comfortable single queen guest room comes with a Chalkboard wall for your entertainment, Free High Speed internet access, 32&#8243;flat panel color LG TV, microwave oven and mini refrigerator, coffee maker & gourmet coffee, hair dryer, ironing board, and so much more. Hotel offers complimentary hot breakfast, 24-hour coffee bar, late night cookies, and all with a warm smile. Located on Main Avenue (Hwy. 550 N) between 29th and 30th Streets. Pets	| Pets accepted in specific rooms only $15 fee per day. All pet fees will be paid separately upon arrival at the hotel and will NOT be collected at the time of reservation. Other	| Cancellation - Cancel by 4pm on the day of arrival. holidays cancel by 4 pm 2 days prior to arrival.